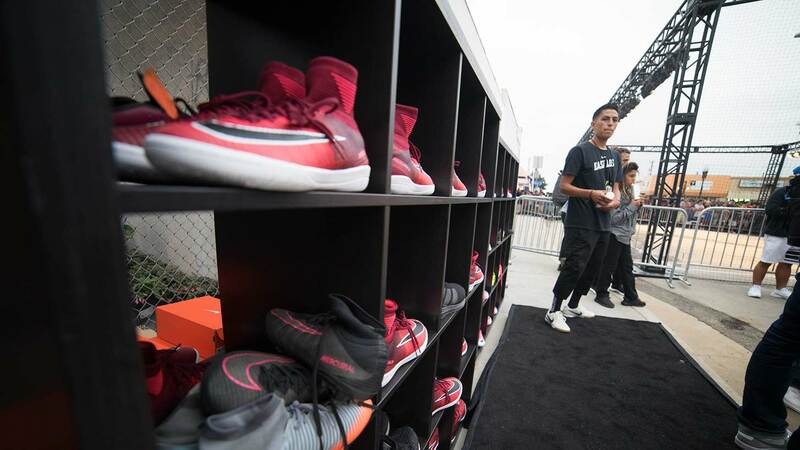 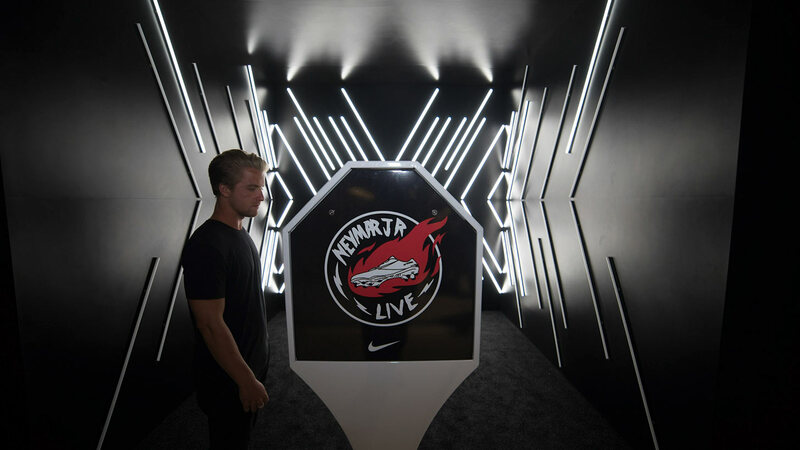 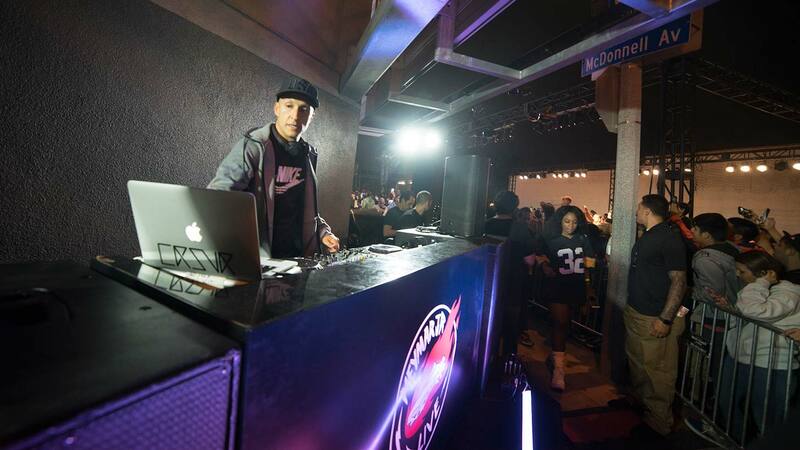 Eagerly anticipating the mercurial forward’s arrival at the Neymar Jr. Live event, a large crowd began forming on Whittier Boulevard alongside the Nike “East Los” store this past Tuesday evening. 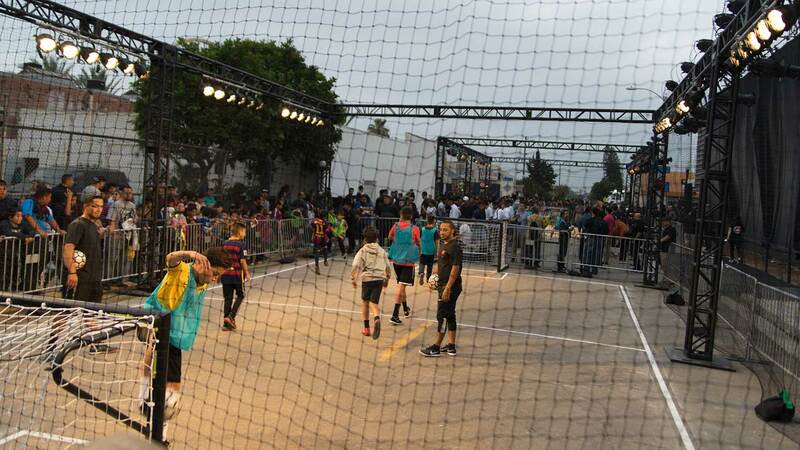 While waiting, restless fans kept themselves preoccupied with music, taco trucks, and two small-sided pitches. 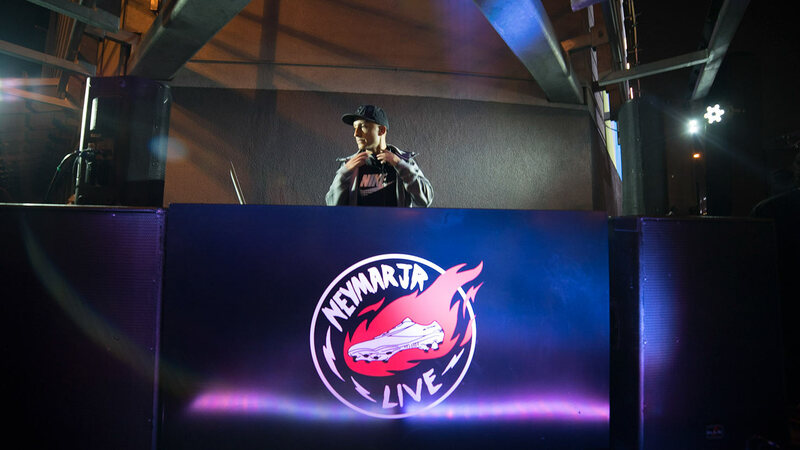 Aided by false sighting rumors, Neymar’s exact arrival was just as shrouded in mystery as the giant, black curtain covering the immense wall overlooking the night’s festivities. 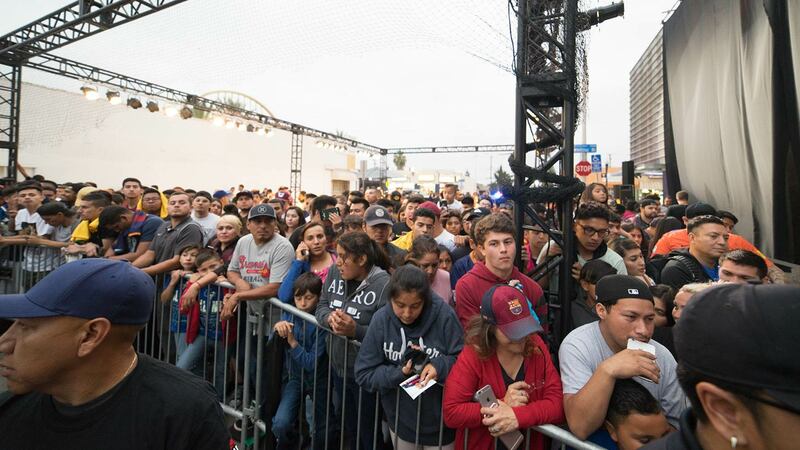 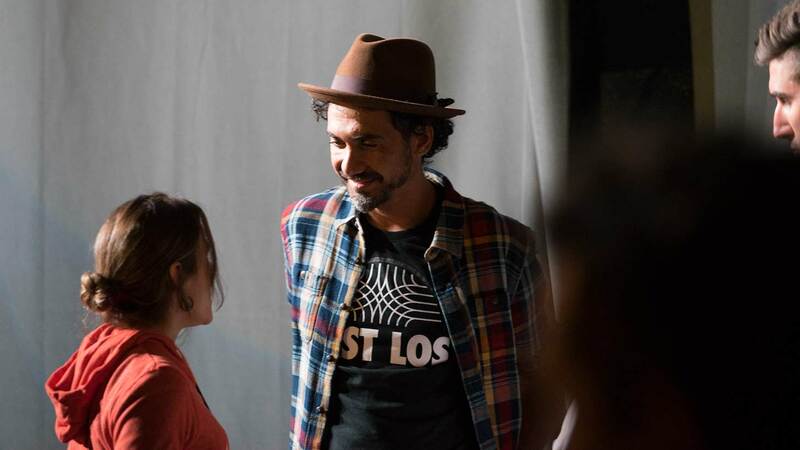 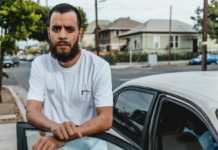 It seemed as if people from nearly every corner of Los Angeles had gathered this evening in a small corner of East Los Angeles. 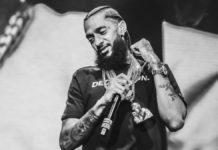 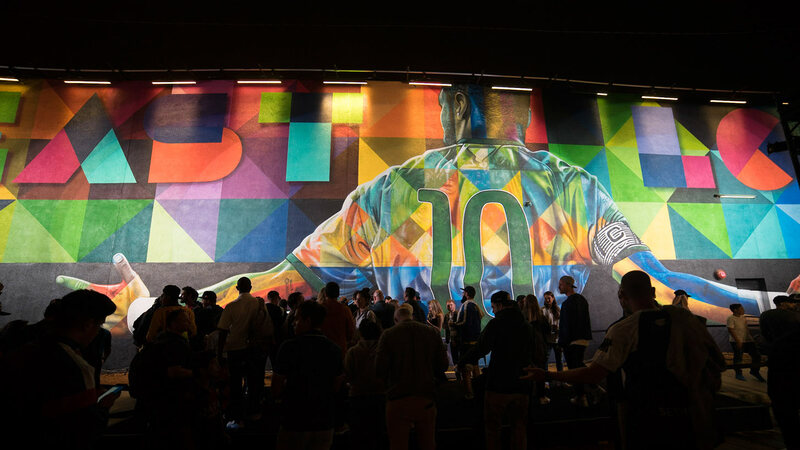 A kaleidoscopic mix of ballers, shot callers and power brokers mingled in with business owners, media influencers and wannabe pretenders were all crammed into a raucous block party to witness the unveiling of both mural and world-renowned athlete. 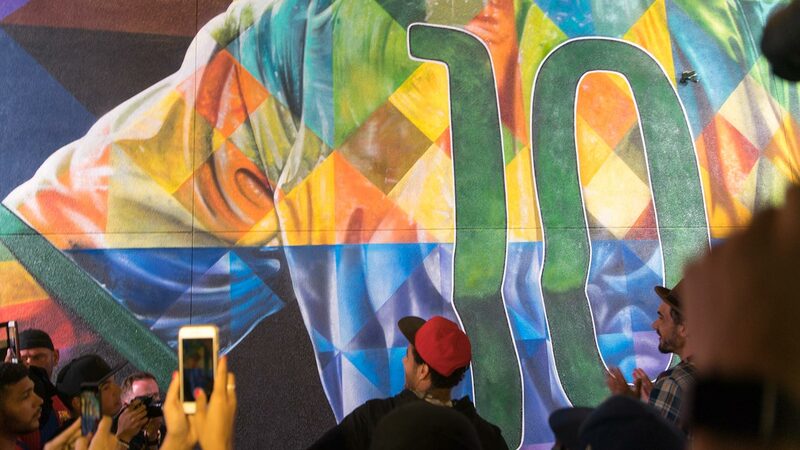 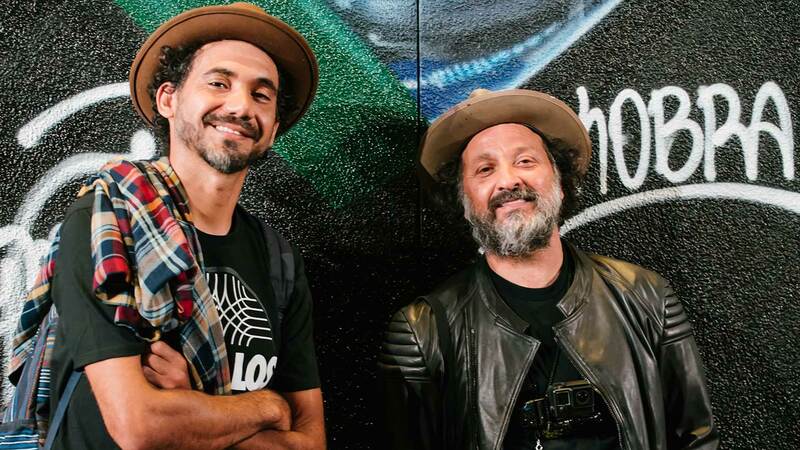 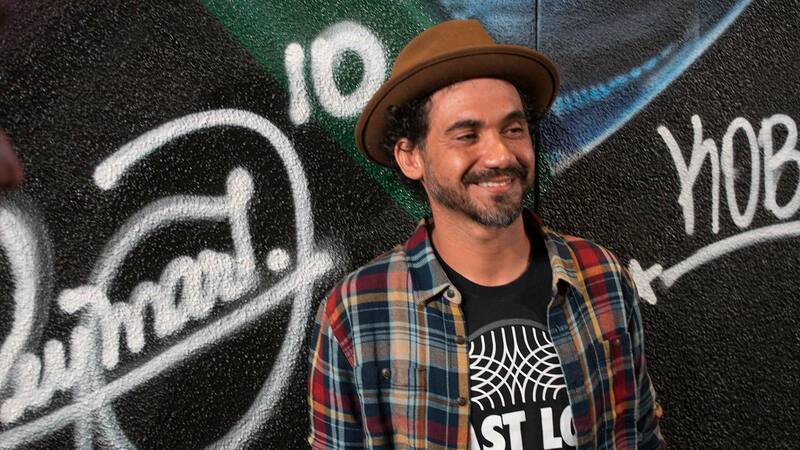 Over the past few days, well-known street artist and fellow Brazilian Eduardo Kobra, had painted a giant, honorary mural adorning the building’s facade using his signature technique of repeating squares and triangles. 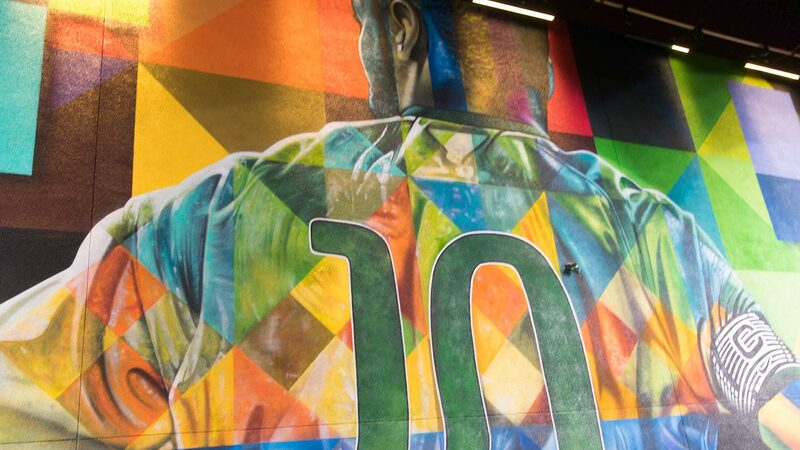 Following a climactic drop of the curtain, Neymar stepped up to leave his hand-sprayed mark alongside the artist name as a final touch. 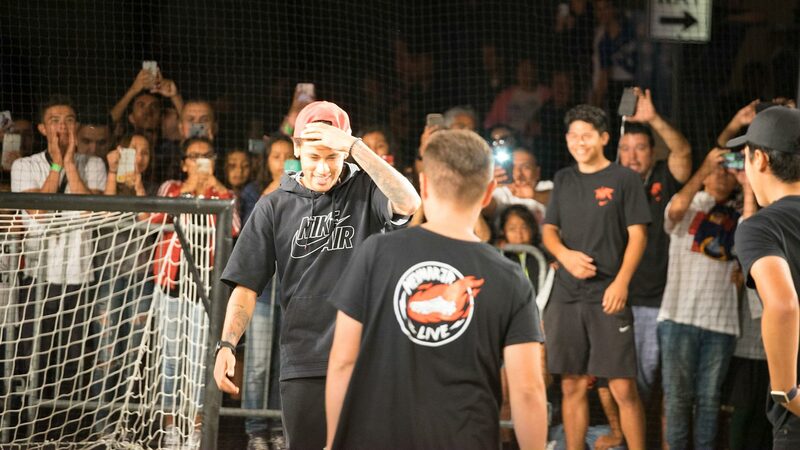 With the formalities now out of the way, the crowd began clamoring for the player to display the world-class skills that lay his claim as the next king of football. 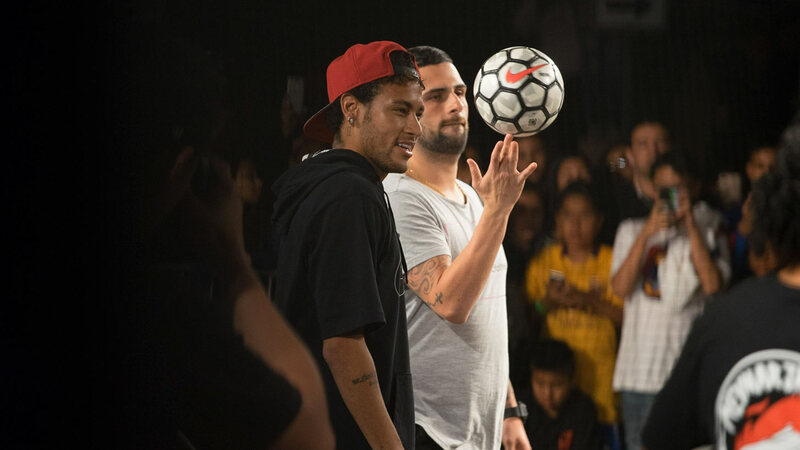 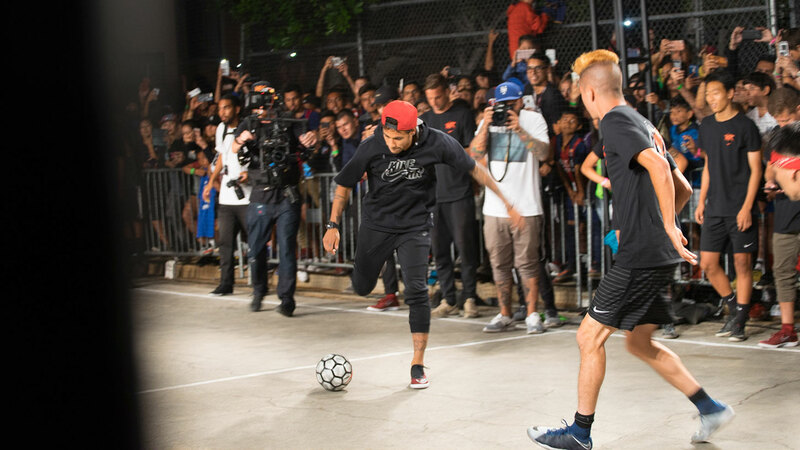 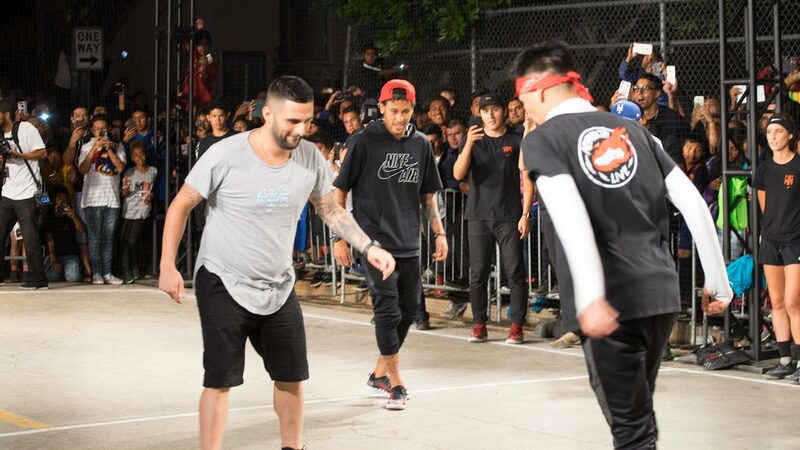 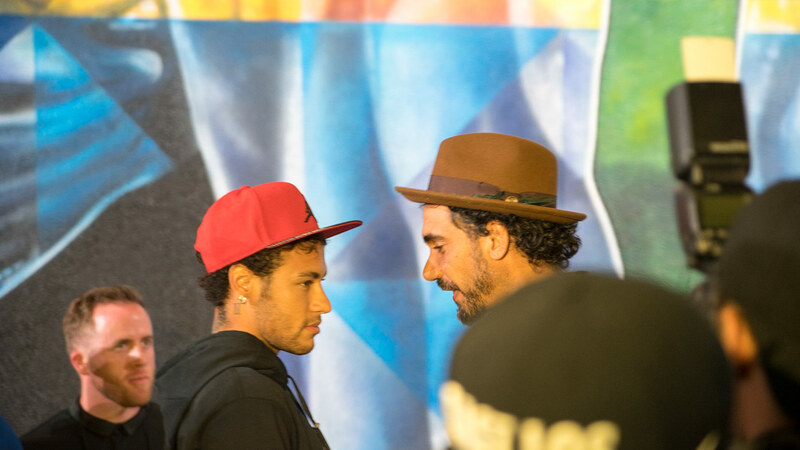 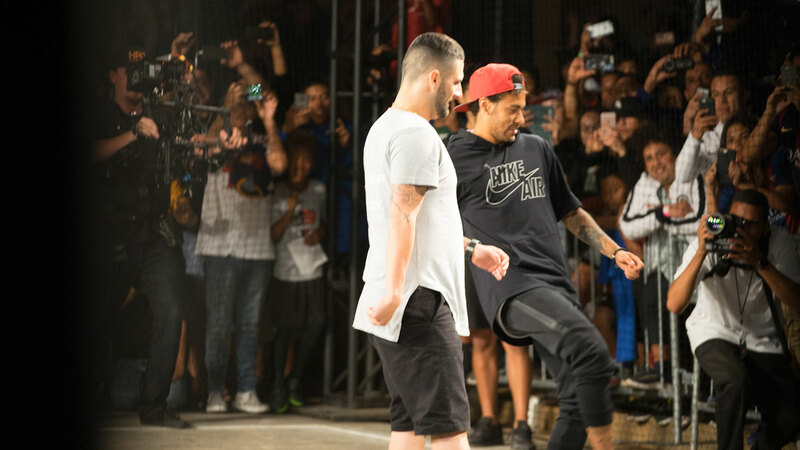 Challengers both young and old waited their turn to test their skills against Neymar Jr. in rapid succession. 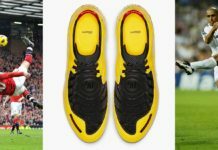 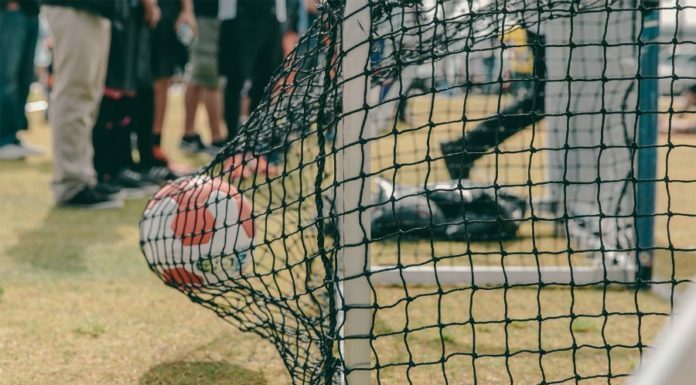 Although many who were in attendance could boast skills in their own right, it was apparent that everyone stepping onto the pitch was just grateful for the opportunity to be playing next to their idol. 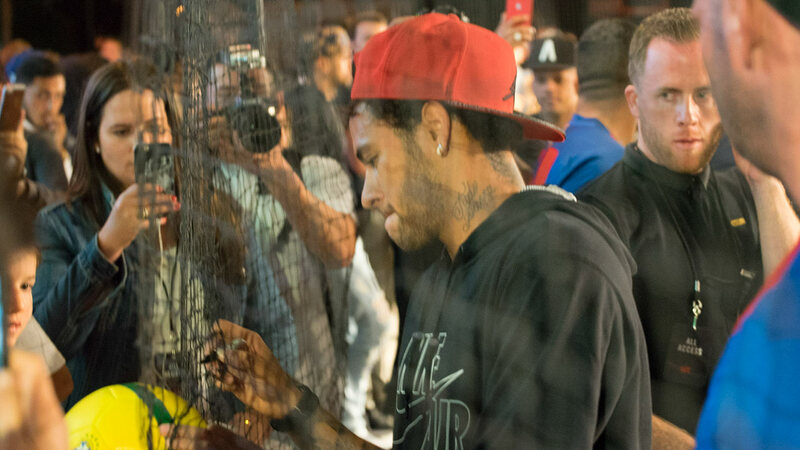 After playing a few rounds against some of L.A.’s top ballers, Neymar made his way while acknowledging the gathered multitude with a lucky few collecting his signature or one of the rare balls tossed into the crowd. 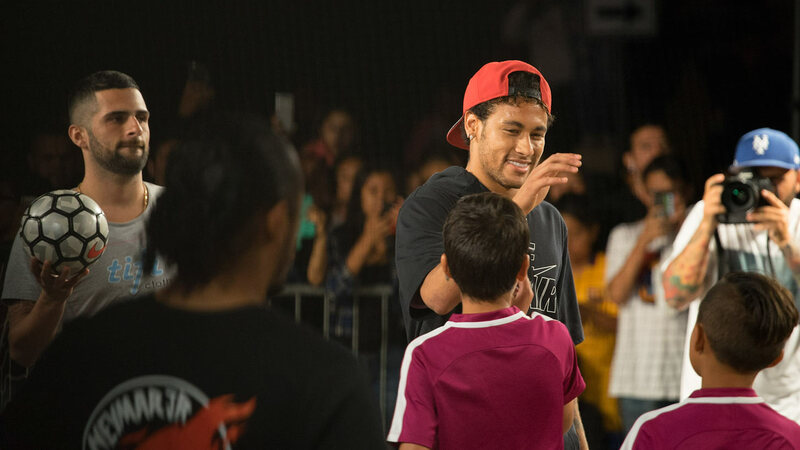 Just as suddenly as he had arrived, Neymar Jr. was now gone with the crowd still buzzing with what they had just witnessed. 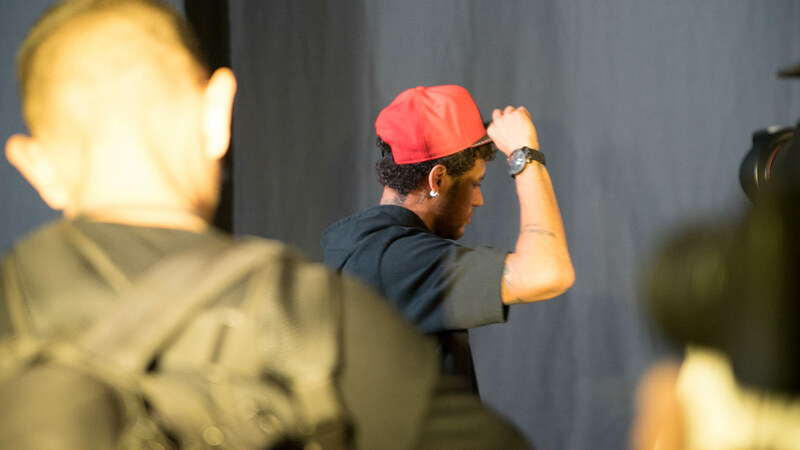 Photography by Kennard Morris for Urban Pitch.